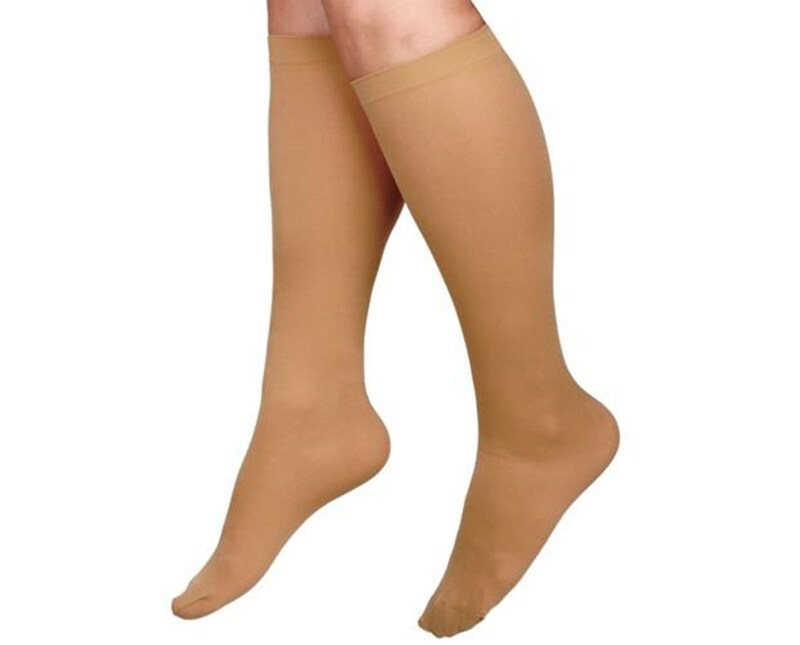 Curad's Beige 30-40 mmHg Knee Length Compression Hosiery offers hospital-quality medical compression to help provide controlled pressure to the leg. Made of fashionable sheer nylon/spandex, they are beige in color and latex-free. Sizing: For length, measure from the bend in your knee to the bottom of your heel. For calf circumference, measure around the widest point of the calf. For ankle circumference, measure around the ankle bones. 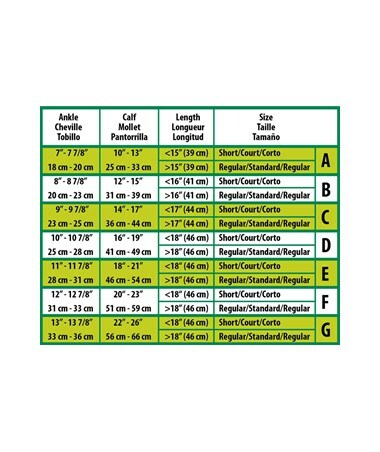 Once you have these measurements, see the sizing chart in "more images." 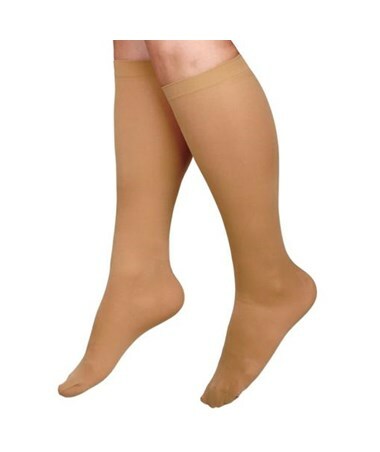 We offer Curad's Beige 30-40 mmHg Knee Length Compression Hosiery in five sizes, each in regular or short varieties and sold individually or by the case (options vary for each size). Select from the drop down menu above and order online direct by clicking "add to cart!"